Today I have to go and work at the library, on a Saturday! Oh well oh well, it is a nice job. This is my lovely Deagan xylophone! 4 octaves of rosewood goodness. 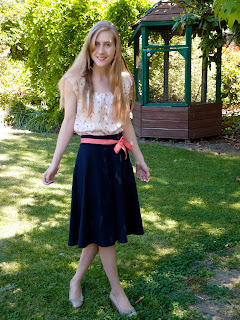 Dress: Modcloth's Indie Darling Dress. 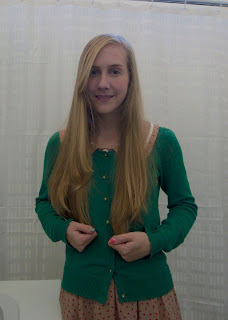 This was my first purchase from Modcloth. I thought about it for MONTHS before buying, and it went out of stock! When it came back in I snapped it up. That was over two years ago, and it's still in stock today! You can tell it's old because nobody says "indie" anymore. I still love it! But gosh it's cold so I'm wearing two pairs of tights!